We went to Napa for a long weekend. One morning, before the wineries opened we went birding. While we spotted a chestnut-backed chickadee, he was too quick to photograph. 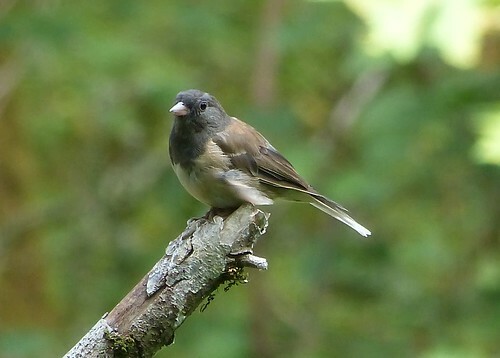 Here's a Dark-Eyed Junco. I'm sorry Pat, we forgot to post the quail.